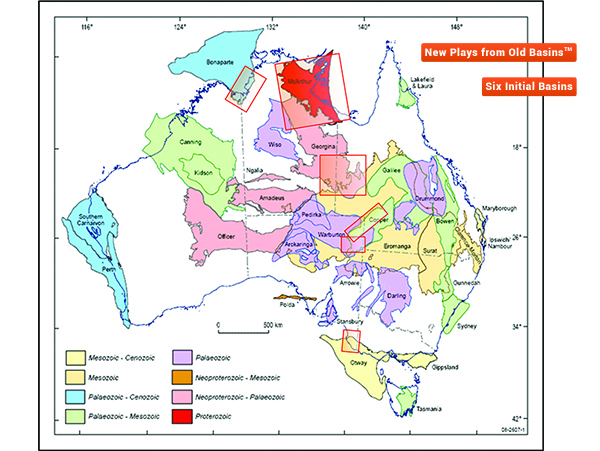 AusGeos has collaborated with DSWPET on the development of a comprehensive database of conventional and unconventional plays in Australian basins. The database which employs a back-to-basic approach will assist existing Australian explorers and active entrants gain a refreshing perspective on the burgeoning Australian conventional and unconventional oil and gas exploration scene. The review relies on a thorough analysis of original well geology including cuttings, gas shows, digitizing of paper logs, and in conjunction with reprocessed seismic develops new play concepts and play types. Brochure describing New Plays From Old BasinsTM is available for download here. Reviews of 6 basins are available. Further basins can be included to meet customer demand. Results are available in HIS Kingdom projects, or generic data formats for immediate utilization.